A chapter book for children who have graduated past picture books and are looking for something more challenging. A story with good characters and real life situations. Easy for children and parents to relate to. Suitable for schools as a reading and learning text. Suitable for children to read on their own. Young readers will have a sense of accomplishment on reading by themselves. 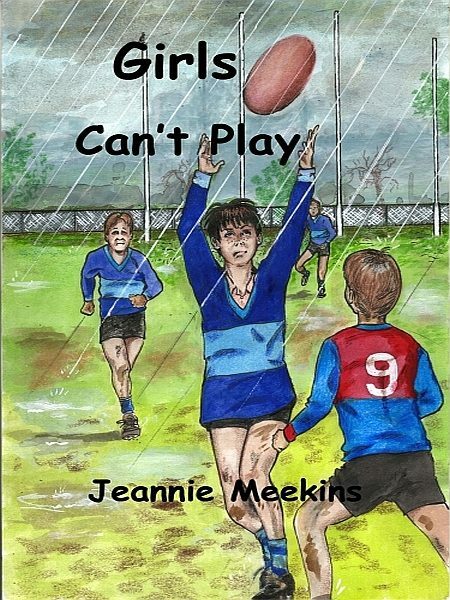 A story about Australian Rules football, and how a girl pretends to be a boy to play on the school team. The results impact on the school and her friendship with her best friend. Otros ebooks de Jeannie Meekins.